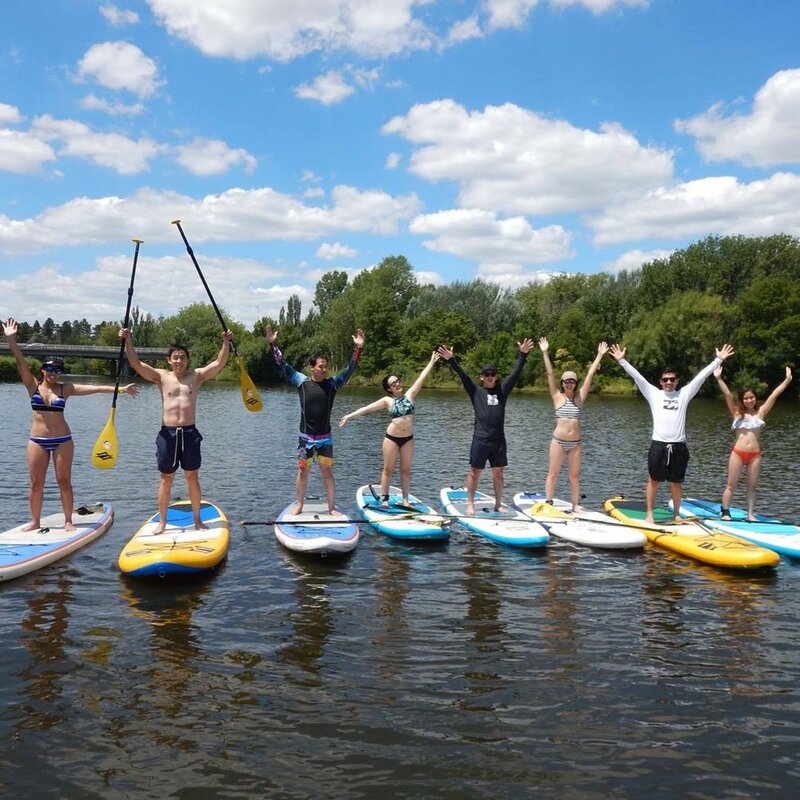 Would you like to learn how to Stand Up Paddle (SUP) in Canberra? Come and experience life on top of the water at Canberra's only internationally accredited SUP School, Stand Up Paddle Canberra. Don't have any equipment? Don't worry, we provide it all for you as part of the session. Your session will last 60 minutes however we ask that you arrive at least 20 mins prior so that we can check you in. We start you off on dry land and explain the right way to get you out on the water safely and how best to use the equipment. It is then out on the water where you will tour around the local waterways by one of our qualified instructors. Along the way you will learn new skills and you may have the opportunity to see some of the wildlife that call the area home such as a family of geese - The Honkers, some reclusive platypus, black swans, water dragons, pink and grey galahs, sulphur crested cockatoos, pelicans and a variety of fish. At the end of your session you will most likely be wet and tired but smiling from ear to ear all the while wondering when you can get out on the water again. Bookings are essential and can be completed by clicking on the "Book Now" tab or call on 0410432177 if you have something special in mind. Want to know more? Head over to our FAQ page for more information. Our instructors will have you paddling effectively from your first lesson. Lessons are conducted in a safe environment and in a format that everyone will enjoy. We can also give advice on what equipment to buy that will best suit your personal needs. 3 pack of Group Lessons - $150 From zero to confident. 2. Paddlers must be able to confidently swim 50 metres unaided and be over 8 years of age. 3. If you would like to create your own group, give us a call. Corporate, School and Social groups can be organised outside of our designated lesson times. Stand Up Paddle Canberra, formerly The SUP’ing Caveman, is a family owned and operated small business. Matthew, along with his wife Lauren, established The SUP’ing Caveman in 2013.